FREE for a limited time – Write Right, a fabulous tool for writers of all ages. Write Right jazzes up your writing by suggesting replacement synonyms, antonyms, or phrases for the words/phrases in your writing. 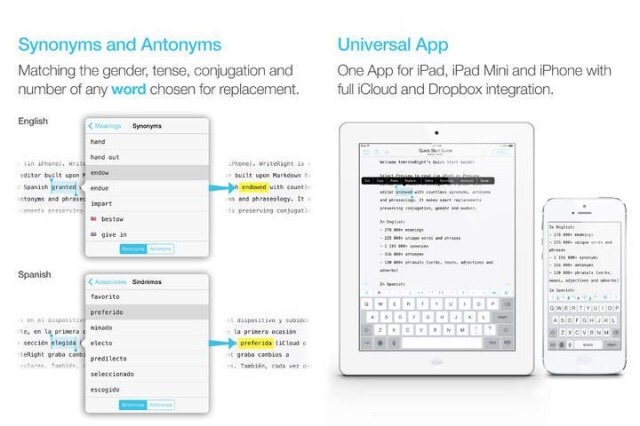 The app makes “smart” replacements – preserving the proper conjugation, gender, and number. This app would be fabulous to use with students! Download now, brainstorm later! !